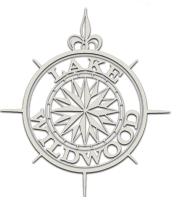 The Lake Wildwood Association is a mutual benefit corporation formed in accordance with the California Non-Profit Corporation Law and California Civil Code. The Association membership consists of all Owners of the lots within the Lake Wildwood subdivision. The members elect the Board of Directors. The Board elects a President, a Vice-President, and a Secretary from the members of the Board of Directors. The Association business and affairs are conducted by or under the direction of the Board. The Board of Directors establishes policies and rules for the operation of the organization. The Board represents the members and operates under the California laws, the Association Articles of Incorporation and the Bylaws. The Board and the General Manager implement the Association policies, rules, and procedures. The rest of the operating organization consists of the General Manager, Staff, and Standing and Ad Hoc Committees. Administration of the organization is done by a paid staff that is directed by the General Manager who reports to the Board of Directors. The General Manager formulates and implements departmental procedures needed to conduct the Association operations. Included in this portion of the website are the governing documents of Lake Wildwood Association. These documents include the Articles of Incorporation, the Bylaws, and the Governing Documents.